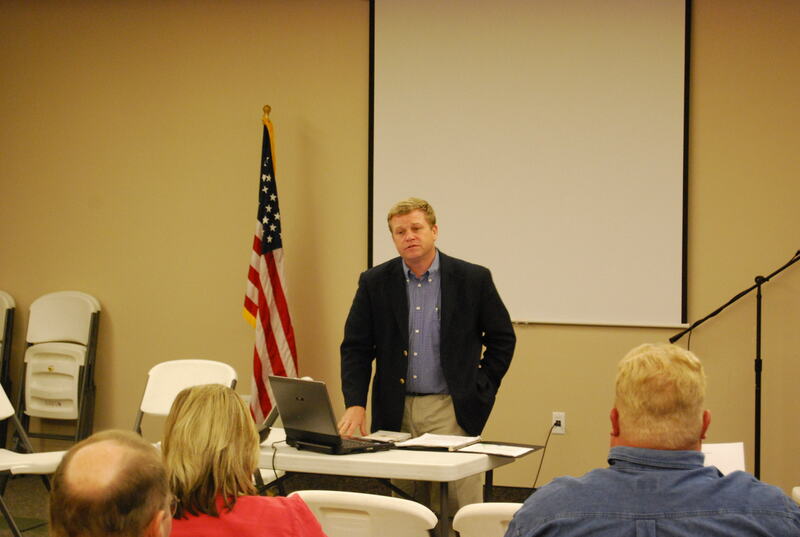 PRESTON, Idaho – “I learned to be a better custodian of public records,” said one state employee who attended the IDOG open meetings and public records seminar in Preston, Idaho on Tuesday, Oct. 30, 2008. 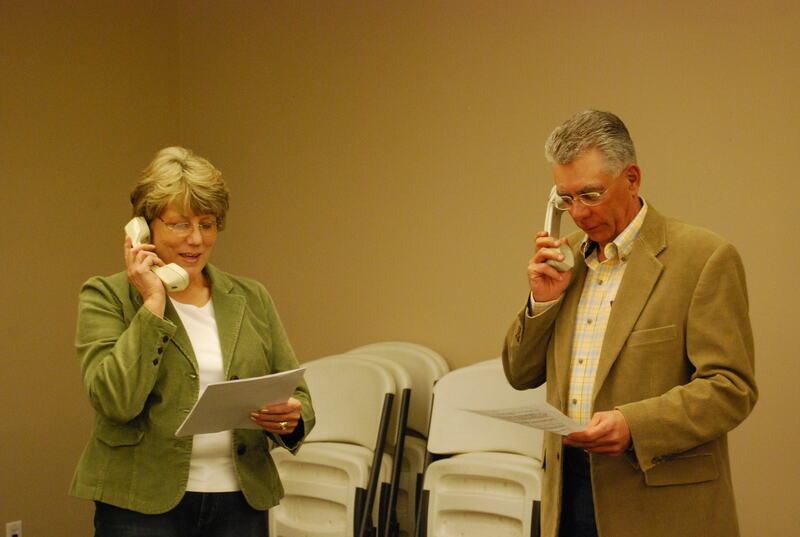 “Great job,” wrote a city clerk, who noted in her evaluation of the session that she learned that the agendas she’s been preparing for city meetings need more information. “I see that I am not specific enough,” she said. “I learned a lot,” declared a local appointed board member, who said executive session rules were among the new information. 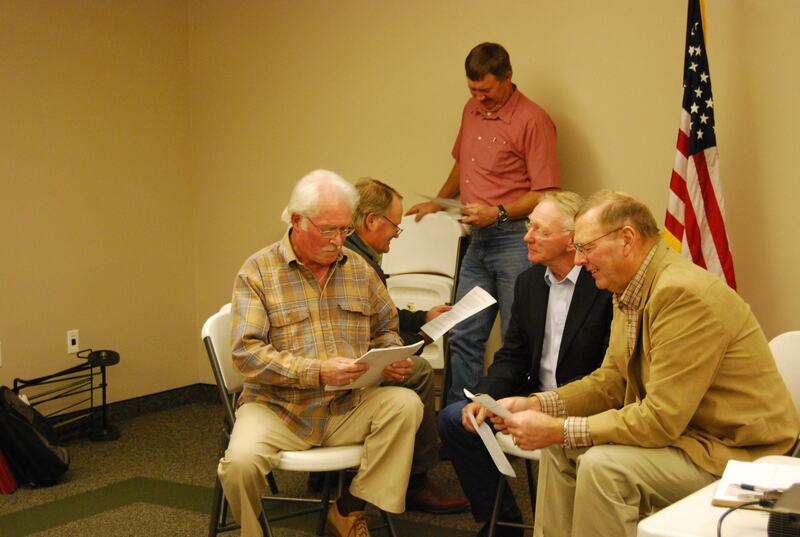 A county commissioner said he’d gladly recommend the session to others with similar jobs. And all those who filled out evaluations at the end of the session, held in the Larsen-Sant Public Library in Preston, gave it top marks for the skits, the handouts, the slide show, and for how the session compared to other workshops they’ve attended. Even the refreshments earned top reviews. Nearly two dozen people attended, and this in a town whose population at the 2000 census was less than 5,000. Preston is the county seat of Franklin County. Located in the far southeastern corner of the state of Idaho, the town gained national fame with the release of the 2004 film “Napoleon Dynamite,” which was filmed and set there and is the hometown of the film’s creators. 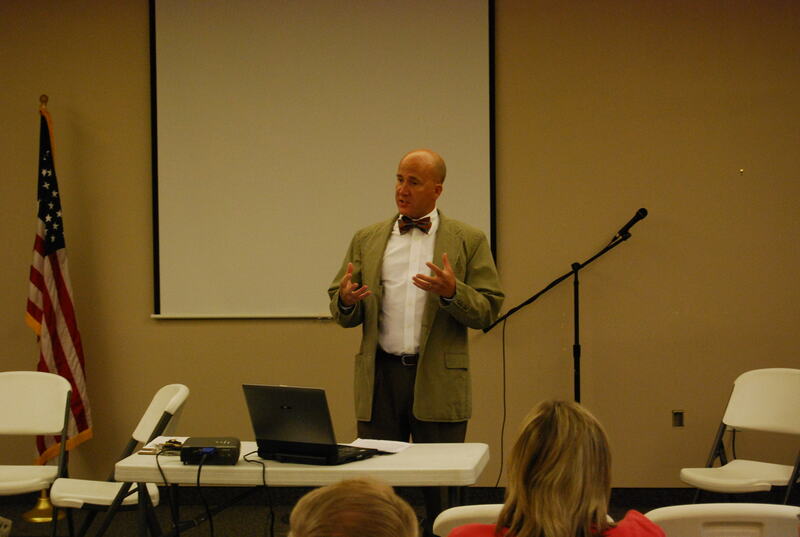 For the IDOG seminar, Idaho Attorney General Lawrence Wasden and Deputy Attorney General Bill von Tagen, along with public information officer Bob Cooper, traveled from Boise, and Idaho Falls Post Register Editor Dean Miller traveled from Idaho Falls.